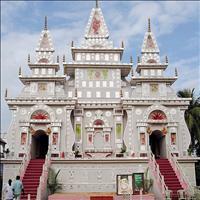 Around 200 km north of Kolkata, this historical district has stood witness too many changes till date. 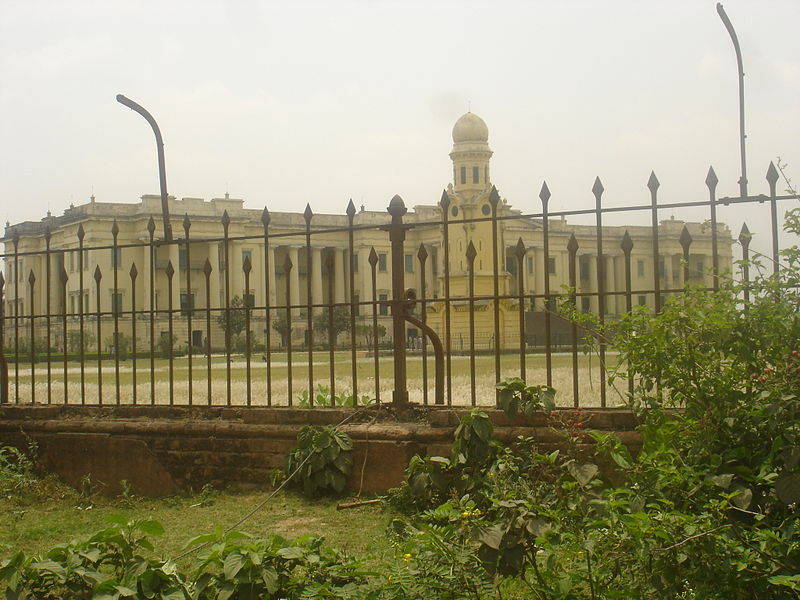 Named after the first independent Nawab of Bengal, Murshid Quli Khan, Murshidabad is naturally drained by two major tributaries of the Ganga, the Bhagirathi and the Jalangi. While its western portion is the undulating extension of the Chhota Nagpur Plateau of Bihar, its eastern region is a low-lying, fertile, alluvial silt region typical of Gangetic Bengal&apos;s deltoid topography, sharing the borders with Bangladesh. On the South are the districts of Birbhum and Nadia and Malda is in the North. 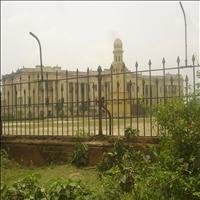 The former capital of the Nawabs of Bengal, this town still retains the aura of the period. The city lies on the eastern side of the Bhagirathi River and is famous for its Silks. 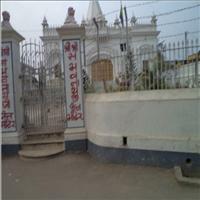 The towns of Murshidabad and Lalbagh are adjacent to each other and Lalbagh is considered to be the part of Murshidabad. Not far away from Murshidabad are the Farakka Barrage and the Farakka Super Thermal Power Station. Being historically linked, this place has many historical sites that can be visited.\r\nThe Hazarduari Palace: It means a palace with one thousand doors and the magnificent marble structure built in Gothic style actually has 900 doors! 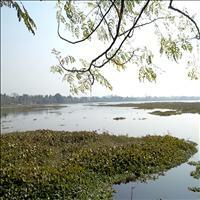 A premier landmark of the Lalbagh area it is located on the northern part of the Bhagirathi River. Completed in 1837, the Hazarduari, also known as the Nizamat Fort was built as the residence of Nawab Nazeem Humayun Jha, who conducted his durbars here.\r\nAn interesting museum is maintained in this palace. Exhibits like the portraits of the Nawabs, the things used by them and the armours are on display. A large number of English and Parsi books along with the ancient Pandulipis are in the possession of the palace's archives. A huge cannon is placed in the courtyard of the palace, which could use 18kg of gunpowder for a single shot.\r\nThe Medina Masjid Clock room: In front court yard of the Hazarduari is this clock room, an ornamented replica of Hazarat Mohammed's tomb at Medina, which was built by Shiraj-ud-Daulah with specially imported Karbala clay. \r\nBara Imambara: It is the largest Imambara of Bengal as the name suggests. This magnificent and majestic structure was built by Shiraj-ud-Daulah's, but got destroyed in fire in 1846. 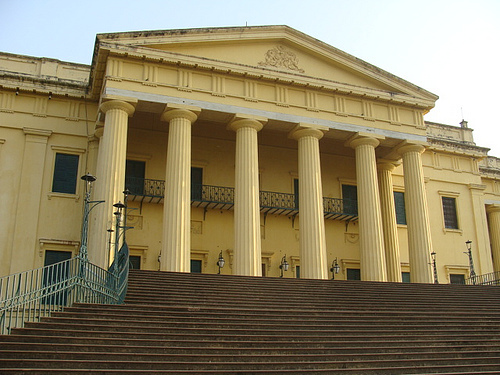 In 1848, Nawab Nazir Mansur Ali rebuilt it which is just opposite the front courtyard of the Hazarduari. 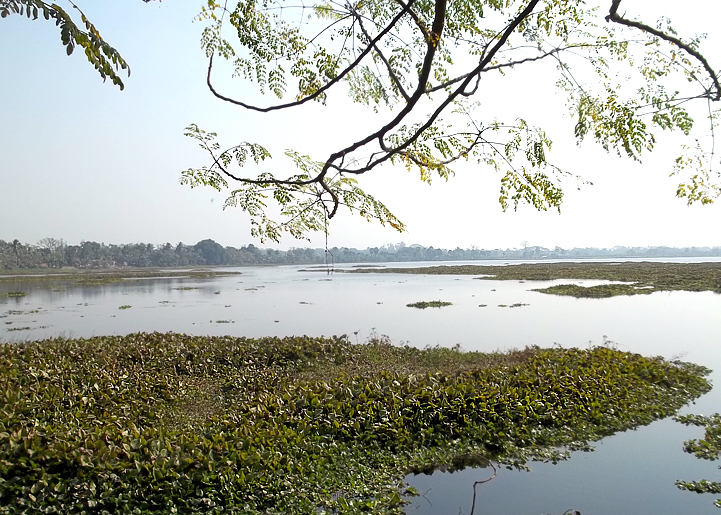 Located one km south of Lalbagh is the Moti Jheel or the Pearl Lake. It was once used for culturing pearls. The large oxbow lake is overlooked by the desolate ruins of a three-storey palace, built by Nawab Nawajas Muhammad. 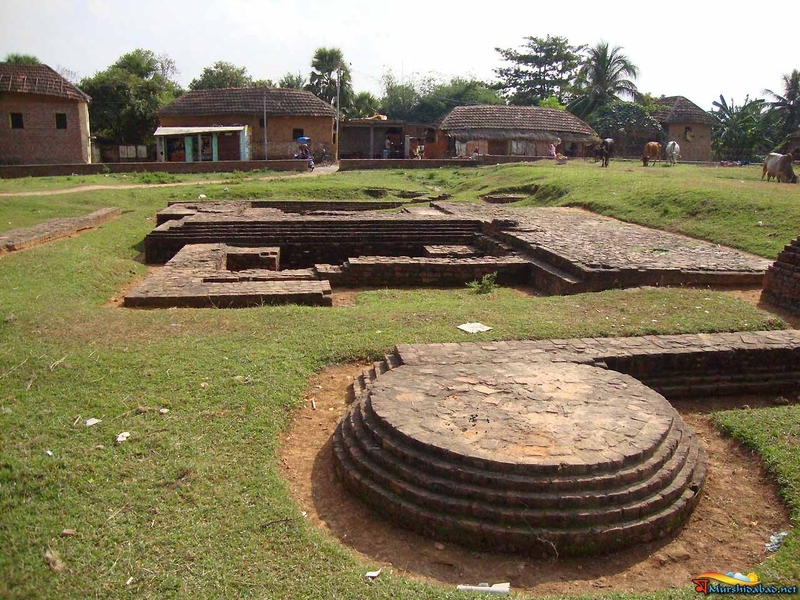 Karnasubarna was an ancient capital of King Gaureshwar Shashank and is also mentioned as the capital of Bengal in the travelogues of Chinese traveller Xuan Zhuang. The town is also associated with Lord Gautam Buddha, who stayed at Karnasubarna for seven days. 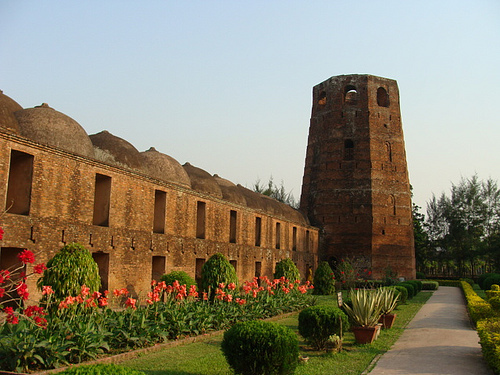 A Buddhist Vihar was built in the front courtyard of the King's palace and Emperor Ashok also enshrined the Buddha's presence at Karnasubarna with an Ashok Stupa. 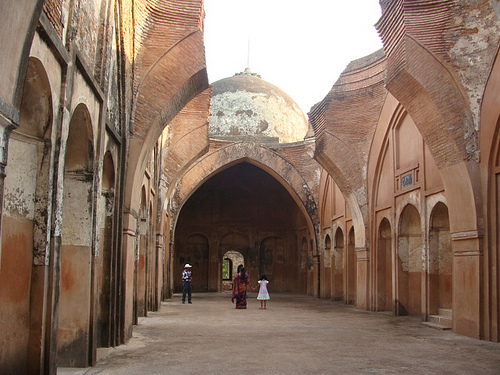 Saidabad located in between the towns of Behrampur and Murshidabad is an important town in history. It was the trading point for Armenian merchants since 1665, and the Armenian Church was built in the town in 1758. A number of Armenian graves can be found within the church compound. Many ancient Hindu temples of Lord Shiva also abound around this Church. \r\nThe Kunjaghata Palace, very close to Saidabad's Gorabazaar, belonged to Maharaja Nanda Kumar's son-in-law. The palace although in dilapidated condition has a unique collection of the king's personal belongings. An oil painting of Sri Chaitanya Mahaprabhu presented to the king is also preserved here. This small town is famous for its Jain Temples. 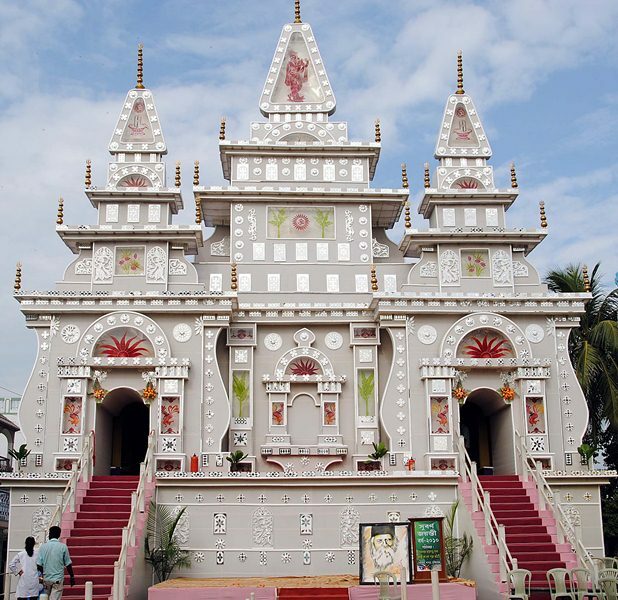 The Adinath Maharaj Jain Mandir is enormous and the most impressive. The Bimalnathji Jain Mandir is more striking of and has an involved, multilayered, brick-masoned steeple. There is another important Jain Mandir called the Sambhunathji Mandir.